In its final stretch, sometimes Survivor feels like it has to go through the motions of an obvious vote or three, whether it’s a dominant alliance picking off a smaller one or clear threats being sent to the jury. The two-hour, two-episode “Tribal Lines are Blurred” was a version of that; both of the two major targets mentioned in the first hour, challenge beast Alec and hammock-dwelling godfather Carl, were gone by the end of the second. But like the rest of this season, it was a thrilling ride, from an extended endurance challenge to Alec’s extended flirting metaphor to rancid rewards. At the end of hour two, I was ready to watch a third and fourth and fifth—let’s just finish the season! Except then it’d be over, and I’d also like to drag this out as long as possible. While there is still talk of the original tribes on Survivor David vs. Goliath, Mike White’s statement that “tribal lines are blurred”—which gave the episode its title and was clearly a winking reference to reality blurred, don’t @ me—was true in practice, and perhaps will remain true for the rest of the game. This swing from Goliath to David—the smaller alliance takes on the dominant alliance successfully and eventually becomes the dominant alliance—has been incredible to watch. But the second vote—which was not unanimous, as Nick, Davie, and Angelina all voted against Alison—removed the Davids majority and returned to an even split of original tribe members. It’s now 4-4, or maybe it just doesn’t matter any more. 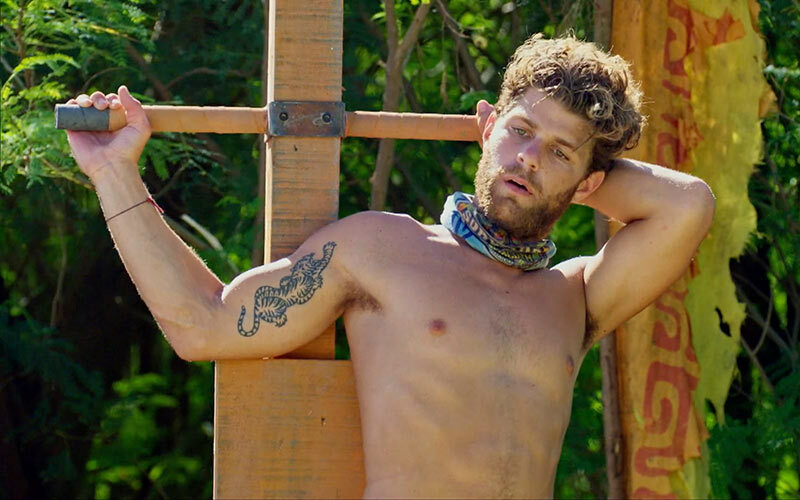 Between this episode and the last, in real life, Nick gave us a detailed accounting of the strategy that went into the previous two votes, and both he and at least one other player gave Nick the credit for those votes. 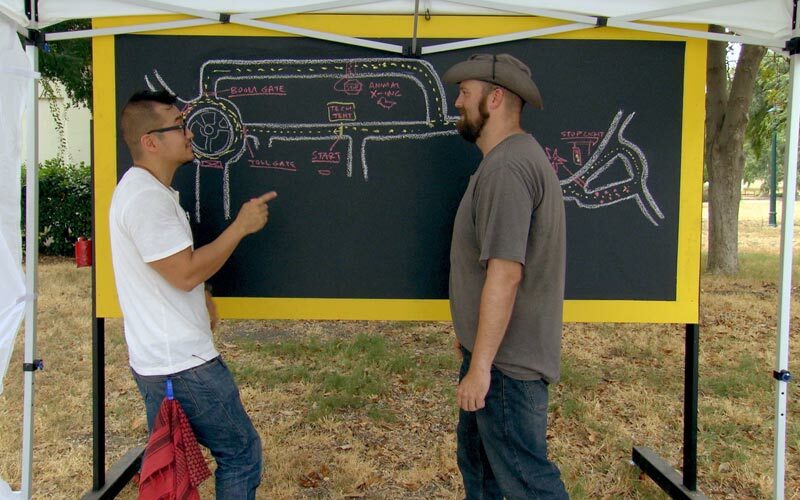 Nick found the idol, and then he virtually evaporated from the episode, and was on the losing side of the second vote. Hmm. The first reward challenge was in the water: a rope bridge and a ladder they had to create by throwing poles. These were clever twists on familiar challenge elements. Also straining credulity is that he was actually offering them a reward: “wraps and salads” sounds like the concept for a restaurant that will close before you get a chance to visit. Alec’s extended metaphor about being a bartender and flirting with Gabby and Christian to try to “turn a tip and to gain their trust” was incredible, though it was interrupted by the discovery of letters from home and lots of tears. Cut to the immunity challenge, when Probst gave them the players the opportunity to trade the challenge for food. Except the food reward, which was allegedly nachos, looked like whatever Alec and Alison had puked up. Sitting under a cloth in heat Probst described as brutal were the nachos, which were brutal, at least visually: mushy tomatoes, cheese that looked like it’d melted, hardened, and then was softening again in the sun. And the beer looked like prop beer, flat and warm. Nick, Carl, and Angelina ate instead of competing, and that turned out to be a smart move, since the endurance challenge lasted for five and a half hours, and also they didn’t puke. 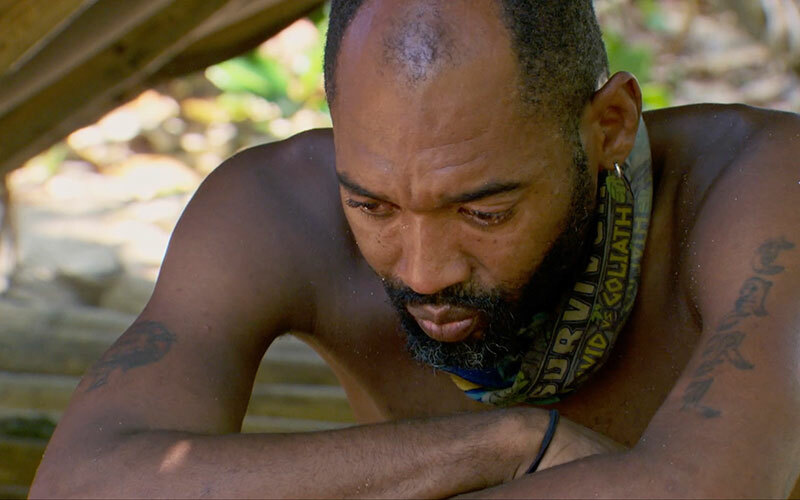 As was pointed out in the episode, endurance challenges rarely last that long on Survivor any more, and it was just two people who lasted the longest: Christian and Alec. The challenge banter was wonderful, thanks again to editing that’s leaned into comedy and allowed Survivor to have lighter moments. After Probst said they had a “0.0 chance of being comfortable,” Gabby replied, “That’s redundant, Jeff” and Christian gave him a lecture. Later, when just Christian and Alec were left, Christian said, “Is it okay if I tell a story to pass the time?” Cue a montage of several hours of Christian chatter, interrupted only by Alec’s increasingly pained facial expressions. “Oh my god, bro,” he said at one point. After several hours of that, Alec pleaded with Christian, because Alec knew he was at risk and Christian knew he was safe. Carl’s team lost the first reward challenge, and although that led him to successfully targeting Alec as a challenge threat, since Alec was on the winning team, the lack of food hit him hard. It’s hard not to gorge on a reward feast or sudden power, especially after lacking those two things, so it’s understandable that, once Carl actually won a reward, he became drunk literally (on beer) and metaphorically (“drunk with power,” as Christian said). The question going into the first Tribal Council was whether Gabby and/or Christian would flip and take out Carl. Christian saw Alec, in Alec’s terms, as “a meat shield” (“I have to keep threats around”) and Gabby saw Carl as controlling (“What is he, the freakin’ godfather?”) and reckless (telling Kara the plan). Christian talked about “calculated risk,” but didn’t take that risk until the next Tribal Council, after dispensing with Alec. That’s when Alison, Christian, Gabby, Kara, and Mike teamed up to vote Carl out. Meanwhile at camp, the tribe’s minimal rice supply had dwindled. This is not because their rice was mismanaged or overeaten; it’s because Production started giving them less rice last season in order to force the kind of moment that happened this episode. While the moment may have been essentially orchestrated by Jeff Probst (last season, he even said in an interview that the show was gambling with that move: “It’s super risky to give them less food and for them to know if I have to come, I’m coming for the shelter”), intentionally starving the tribes paid off with some incredible television. Cue Angelina at the immunity challenge. “You always start low,” she told Jeff Probst after explaining her offer, which seemed to be every single thing at their camp plus a role in Mike White’s next movie. Do you also admit that this is your lowball offer? 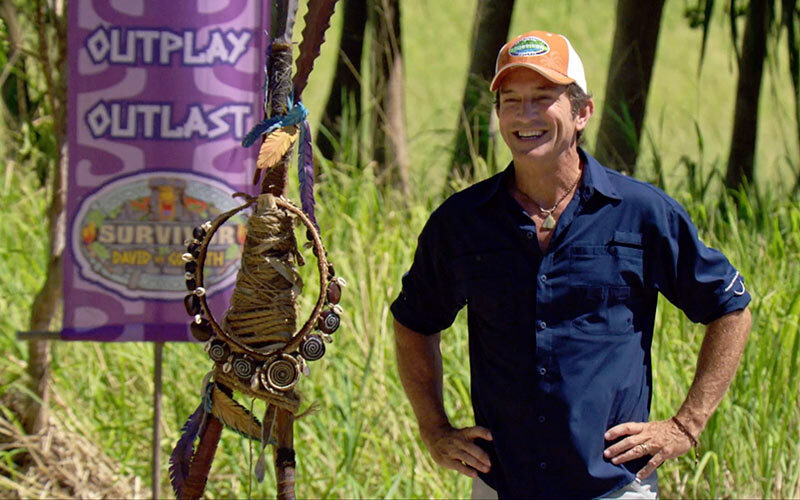 Probst countered by ignoring her offer and instead saying he’d give them a few more grains of rice if one person gave up immunity, which seems proportional. Angelina did. She may not have gotten Natalie’s Jacket, but she did get the rice. I suspect her negotiation will be taught for decades to come in those very courses at Yale where she learned negotiation. And this season should be taught, too, because it’s an outstanding example of Survivor and exceptional reality TV. Why aren’t Survivors getting swimsuits? Could an idol nullifier be nullified? Angelina’s Survivor negotiation was funny TV. But that’s not the full story.